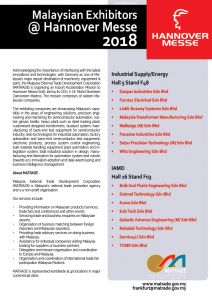 The world’s leading Trade Fair for industrial technology will take place from 1. to 5. 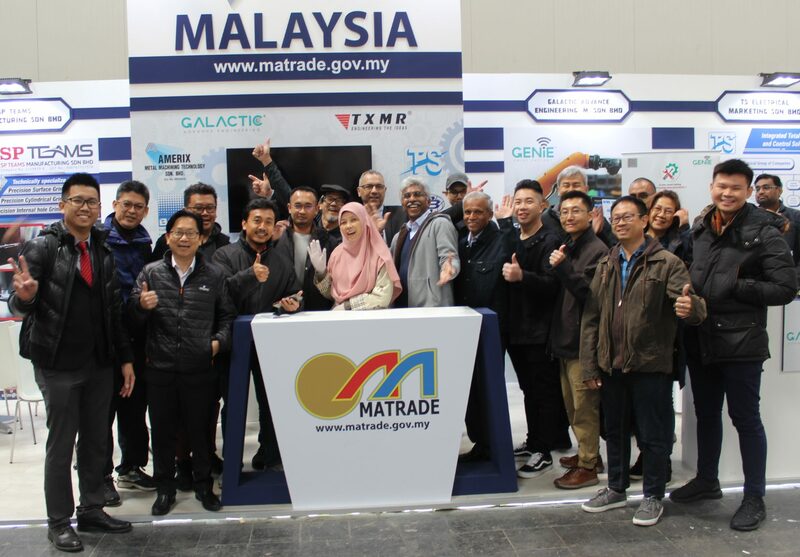 April – Malaysia will be participating again with a National Pavilion organised by MATRADE. 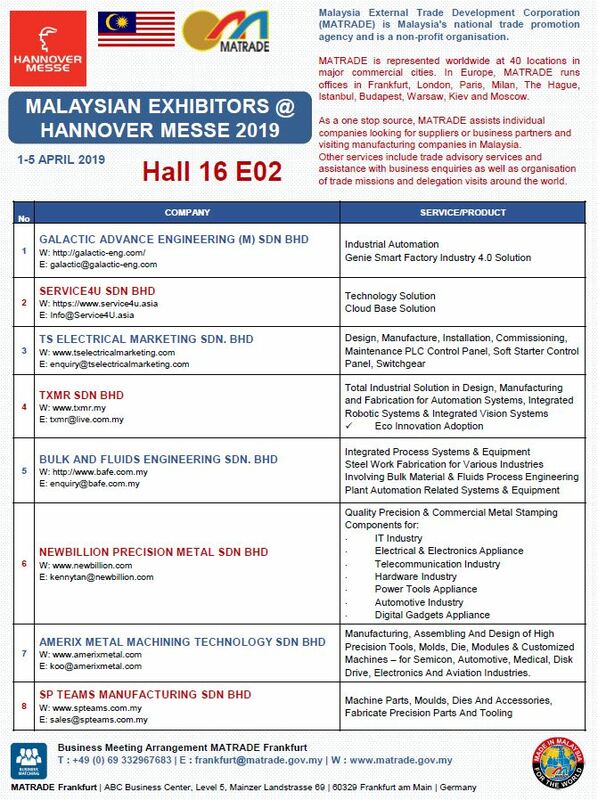 If you are interested in outsourcing, offloading, precision components, machinery, trade leads, joint ventures, please visit our exhibitors in hall 16 E02. For your quick reference of our exhibitors please click here. Please also note that we still have the quick reference of last years‘ exhibitors ready for download. Are you looking for something more specific? 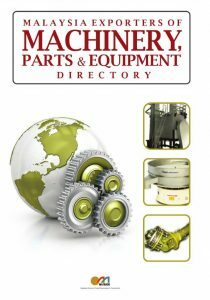 On more than 200 pages, our e-directory lists companies, products, brands and services.